Everyone dreams about their future home, whether you are renting or just in a place you don’t love. As you daydream about the perfect home, you start think about all the things you would want in it. As you keep fantasizing about your perfect, fixer upper themed, dream home you start to think about the rustic barn doors, white furniture, and of course shiplap walls and then it hits you. I’m 25 and this is my first home or maybe your 45 and you are looking to move into a new home but just can’t seem to keep the savings account growing. GOOD NEWS! 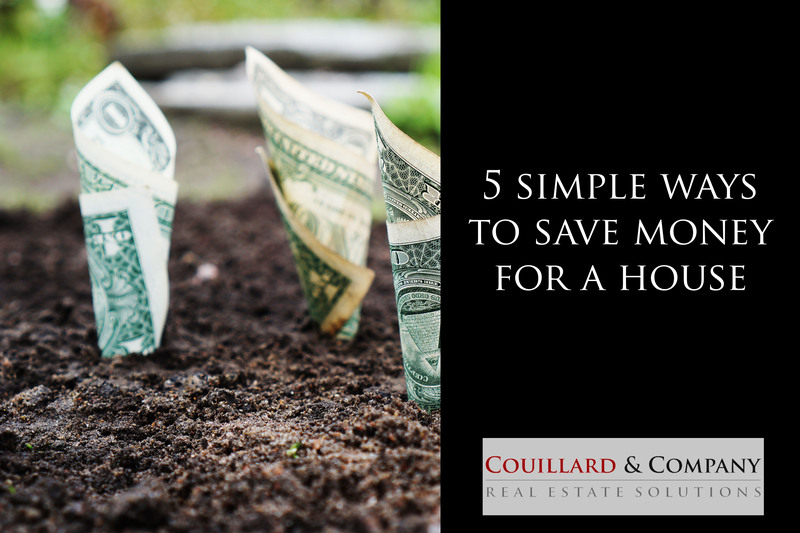 We have 5 simple ways to save money for your first or next home! 1)By Golly, Get Rid of CABLE!! Cable bills are expensive and with internet, in today’s world, you have plenty of streaming services that you can take advantage of. I understand that Netflix has a small selection of actually good TV but there are others out there. Hulu has plans starting at only 5.99. Hulu also offers a variety of options to purchases including movies, Tv shows, and even LIVE streaming. Vudu allows you to rent the newest movies for only a couple dollars. If you choose to purchase Amazon’s Prime Membership, that includes some good choices for TV. Besides that, what would life be like without TV or even limited TV? How much more could you get done around the house? I promise that if you limit the amount of TV you watch, you will start to see changes in small parts of your life. You might be able to take up that hobby you just didn’t have time for before. Game night could be a thing again. This is a win-win situation because you save money and you get to spend more time with your family! We all love the first quarter of the year because we get a little bonus from the government. Who knew that we would get so excited when the government gives us back our money that they hold on to just for fun. Instead of deciding to spend that money on something you’ll forget about by next month, think about putting that into a savings account for a down payment. I know it doesn’t sound like fun but you will be one step closer to getting that house you’ve always wanted. The other option is to take that money and take down your debt a bit. When buying a house, lenders look at what’s called DTI (Debt to Income) Ratio. The more debt you have could, in turn, decrease your chances of getting that dream home of yours! Almost all, if not all, credit cards offer some sort of rewards program in today’s world. They don’t offer a lot per purchase but some companies offer 5% back on select purchases. Is it possible to save a year’s worth of credit card rewards on all of your credit cards? We did it for a year and we are going to have nearly $1000 dollars and I promise that we don’t even spend that much! That $1000 was all extra money coming in so why not save that money for that house. They pay you cents at a time but I promise that will add up after a year’s time. I feel like everyone hates being on a budget but I think that everyone has a budget. A budget could be an organized list of categories with different amounts of money or it could be a number that a person feels uncomfortable going over on a monthly basis. People choose to budget in their own ways due to their lifestyle choices. Here is a good budgeting option called the 50/20/30. Check it out, it might help you as you start to save for your dream home. What if you decided to continue to live on that same amount of money you did before the raise? Let’s be honest, we both know you can because you were getting paid that amount before and making it work; so why not keep it up? Then everything extra can go directing into that savings account! Boom! You have a continual monthly payment towards that house fund which puts you one step closer after each paycheck! These are just 5 of the simple ways to save money that we thought of. There are plenty of other ways to save money but I promise these are the coolest…ok, ok, maybe I’m biased but they are a good way to start. If you have any real estate questions or just want to say hi, please reach out. We would love to answer any questions you may have!